Come and see the newly restored Shrine to Our Lady of Willesden, with a High Mass accompanied with polyphony provided by Cantus Magnus under Matthew Schellhorn. 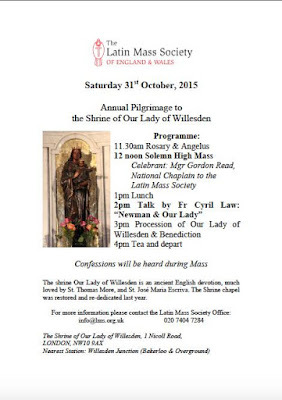 Mass is at 12 noon, Saturday 31st October; click here for a map. What a marvellous occasion. 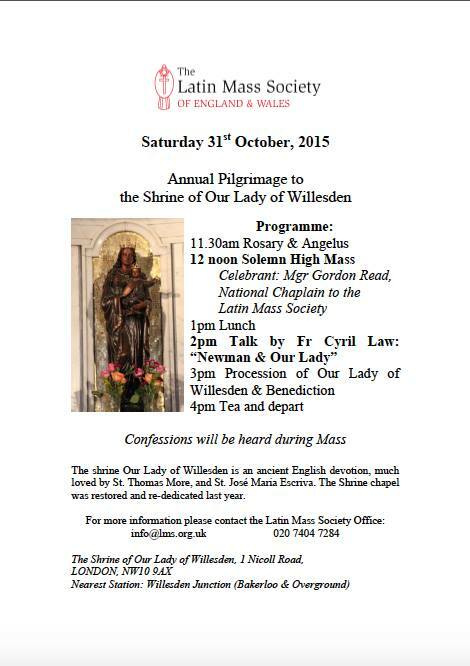 The Latin Mass Society are to be congratulated for supporting this Divine opportunity. Having recently heard Cantus Magnus, directed by Matthew Schellhorn, at Aylesford Priory, Kent, one can heartily recommend making the effort to hear them sing. Zephyrinus thought he was in Heaven !!! All in all, a wonderful occasion not to be missed.